It appears as though Apple has begun letting developers offer promo codes directly for in-app purchases. As you likely know, promo codes have been around for iOS apps for a long time, but are usually limited to full app downloads not in-app purchases for add-on content. 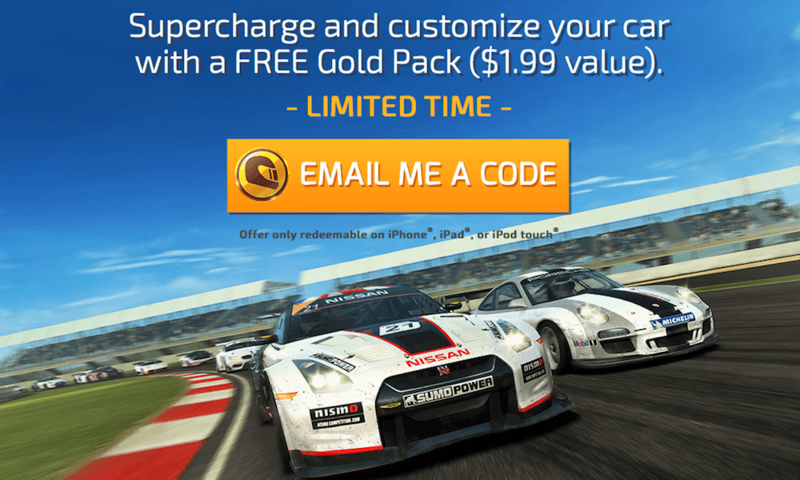 EA is currently offering free promo codes on an in-game currency pack ($1.99 value) for its Real Racing 3 game. While we have seen similar in-app content thrown in with the main purchase via launch pricing promos and things of that nature, users are asked to visit an EA site on an iOS device to redeem only the free add-on content. Those who don't already have the free base game will be prompted to download and install it. Apple's documentation on the matter currently states that promo codes aren't available for in-app purchases or newsstand editions, so it is unclear as to whether or not the ability to offer promo codes of this nature is specific to certain developers. Others have suggested the possibility that Apple could be allowing for the creation of these kinds of direct promos through its App Store Code Program for developers. Promotions of this nature could help quality, already free titles to offer discounts and promotion campaigns in hopes to drive the install base. The auto prompt feature works nicely in this case, but there is no clear indication how something like this would work with a paid title, or if it is even possible.